Speculation about the future of Park Slope’s local cinema, the Pavilion Theater, is finally giving way to more concrete plans. The Real Deal reported that Hidrock Realty, who bought the Prospect Park West property in 2006 for $16 million, will likely overhaul the neighborhood movie theater and turn it into 24 residential units including 8,000 square feet of commercial space. The developer also owns the adjacent vacant lot. Architecture Outfit released two possible schemes for the theater back in December, but now real estate blog 6sqft revealed that the architect of record is Morris Adjmi, whose trademark style creating contextual yet modern buildings has made him a favorite with the Landmarks Preservation Commission—think the popular Wythe Hotel he completed in 2012. 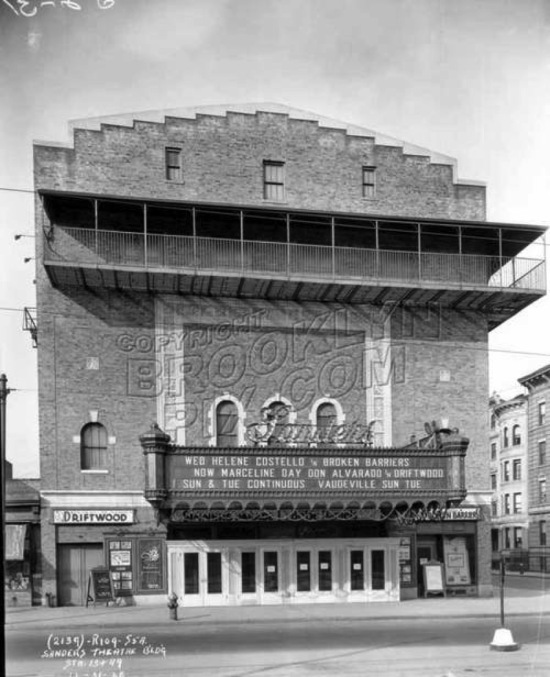 As part of the Park Slope Historic District, the exterior of the art deco theater will be preserved, but the interior, which isn’t landmarked, could undergo a substantial renovation. A spokesperson for Hidrock told the Real Deal that a “sophisticated and “reasonably sized” theater could possibly replace the Pavilion. However, the cinema’s lease through 2022, which includes the option of a 10-year renewal, could be a not-so-small hiccup in the fruition of Hidrock’s plans for park-side, luxury housing.